Cundale’s Flooring Warehouse is a family owned carpet and flooring business that was established in Brackley in 1984. Along with an extensive showroom full to the brim with samples for all your flooring needs, we also have a large warehouse where we have fantastic quality full roll stock and room size remnants of carpet and vinyl. Save up to 70% on high street prices! Our stock is constantly changing. Why not come down and see what we have? You are sure to find the perfect match for your room! We believe in providing our customers with a traditional friendly and personal service. We will provide you with all the guidance you need to find the right product for you and our many years of expertise are at your disposal. Of course, we also happily offer a free measuring and estimating service. We also offer a warranted fitting service on all types of flooring, carried out by our expert team of craftsmen. 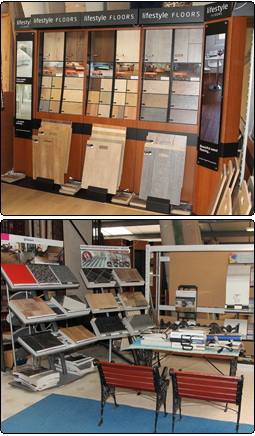 The best way to see all our incredible ranges is to visit us. We are easy to find and there is ample parking. So why not jump in the car and visit us now!